The BSUPA Level 1 Instructor Training course provides a recognised qualification for those who wish to develop their careers by teaching stand up paddle boarding in the UK. 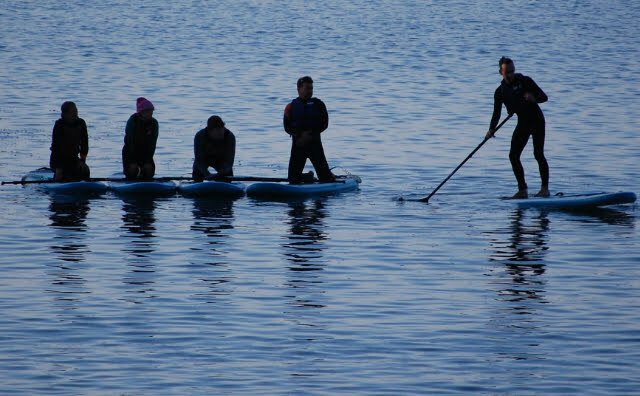 The course is designed to provide a professional and structured approach for teaching stand up paddle boarding. The aim of the BSUPA Level 1 ITC is to produce good, competent, keen and professional paddleboarding instructors. The course is a combination of classroom-based theory and water-based practical exercises designed to give hands-on experience of teaching. The emphasis on the course is around safety, communication skills, professional attitude and conduct as an ambassador for SUP and the BSUPA. • Paddling proficiency: you must be able to paddle competently in a range of conditions, demonstrate and execute effective paddle stroke, basic and advanced turns, be able to catch and show basic wave technique, tow and rescue unconscious casualty as well as paddle a designated distance in a suitable time frame.